Makkal Needhi Maiam Party Leader Actor Kamal Hassan released their Manifesto today at chennai in press meet. Not like other part manifest, but its god. 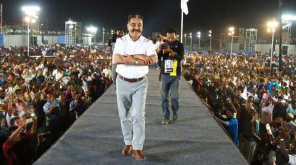 Also Kamal Hassan is not contesting in 2019 Lok Sabha Election as MP Candidate. Only his party members are contesting.